Born in 1923, Newton graduated from Española High School as valedictorian in 1942. After a stint with the state Welfare Department, she began working at Los Alamos in 1944. Initially a charwoman (or housekeeper), Newton worked in various offices at the Los Alamos laboratory, including in the personnel and fiscal offices, where she was a clerk and stenographer. After several years working in Española for the superintendent of schools, Newton returned to Los Alamos in 1951. She rose through the ranks of the Mail and Records Department and was the first Hispanic woman without a college degree to become a group leader at the laboratory. In 1983, she received a Distinguished Performance Award for her exceptional service to the Los Alamos laboratory. Newton retired in 1988, but remained as a lab associate and contractor at Los Alamos until 2003. She passed away on January 3, 2016, at the age of 92. 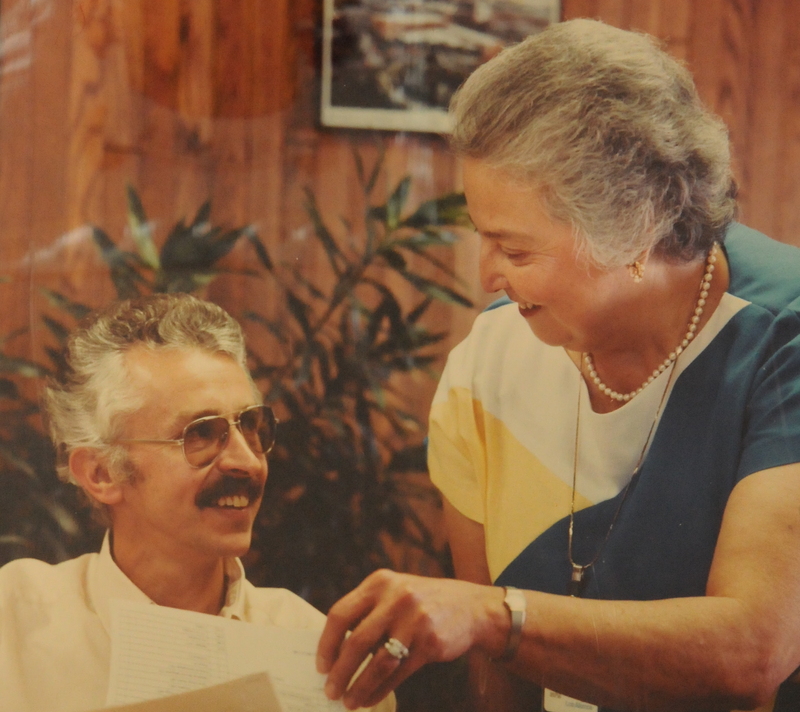 Photograph of Quintana Newton with Los Alamos National Laboratory director Sig Hecker courtesy of Willie Atencio and David Schiferl. 1942 Graduated from Española High School as valedictorian of her class. 1944 to 1947 Worked at Los Alamos during the Manhattan Project as a housekeeper, clerk, and stenographer.